The benefits of dill can be usually seen in the fields of traditional medicine, considering among its various qualities, the fact of being able to find it within our reach. Dill contains a high concentration of Vitamin A. This helps in protecting us from oral infections & tooth decay. It is also highly concentrated by Vitamin C which strengthen our immune system. Thus increases its capacity to combat viruses and bacteria. One of the greatest advantages of dill is that, it helps in maintaining the balance of hormones in a human being. Especially in female, it makes the menstrual cycle regularized. It also helps in regulating the production of progesterone which is effective in situations of infertility. The seeds of these herb contains oil which helps in digestion. It avoids the suffering of digestive ulcers as it provides lining to the stomach. Dill is also rich in calcium. This mineral makes it very much useful for our teeth, bones & skin. It also helps in reducing & diminishing visual problems like ocular cataracts & glaucoma. 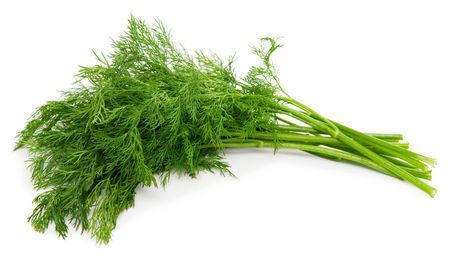 The fresh leaves of chewed dill is a natural remedy against headache. Not only this, but it also helps in regulating blood pressure & heart rate as it is also a good source of magnesium. The best medicinal benefit of Dill is that, it helps in naturally detoxifying the body of both cholesterol & triglycerides. For diabetic people this herb is also very much useful. It helps to lower blood-sugar levels & improve insulin resistance. Dill is rich in Vitamin B complex & flavonoids. These nutrients helps in combatting against insomnia. Dill is not considered as a toxic plant & because of that it is enjoyed in many diets but it should be given in a limited amount to women during pregnancy. How Does The Dill Work?